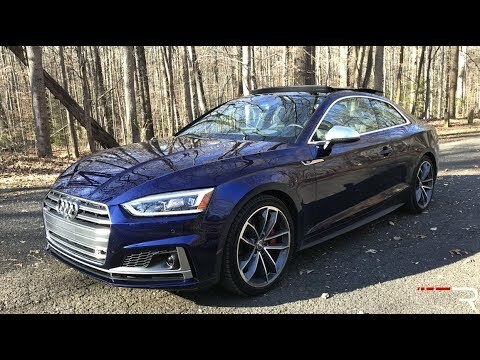 The 2018 Audi S5 is the performance version of the A5, Audi's compact-luxury coupe and convertible. These 2-door/4-passenger models begin with the appealing looks, impressive technology and free-spirit attitude of the all-new A5 coupe and convertible, and inject them with a turbocharged V6 engine, upgraded brakes and other spruced-up hardware. This is my second Audi but not my last, it is a fast, sporty luxury car that is so much fun to drive, wherever I go people comment on what a great looking car it is. It has all the new technology and I have never had a problem with the cars. The dealership is very professional and when I have an appointment for service I am in and out in an hour. The car is not the most comfortable or fuel efficient but I was buying luxury, looks and styling, if I wanted to save on fuel I would have bought a ford. The handling and ease of driving are probably the most important things to know. The performance of my vehicle is fantastic. The handling is great and it speeds up quickly. The comfort level is high and it has been nothing but reliable. Has a backseat but not easily accessible for larger people/kids. My dream car. Love everything about it. Lots of power heads up display full navigation. Looks good. Volkswagen Group of America, Inc. (Volkswagen) is recalling certain Audi S5 Cabriolet vehicles equipped with Super Sport seats. The seat-mounted head/thorax air bag in the front passenger seat may have been folded incorrectly during installation. If the air bag was not folded correctly during installation, the seat-mounted air bag may deploy improperly in the event of a crash, increasing the risk of injury. Audi will notify owners, and dealers will replace the front passenger seat-mounted head/thorax air bag, free of charge. The recall began July 13, 2018. Owners may contact Audi customer service at 1-800-253-2834. Volkswagen's number for this recall is 69W6.